Here's a superb new Slots game from Pariplay. Get the best out of slot offers before you play the game! Founded in 2010 and based on the Isle of Man, Pariplay are a highly innovative, multi-chanel gaming business for land-based and online casinos everywhere and focus on engaging entertainment with their offerings. In February 2016 they introduced their fusion platform - the Pariplay Fusion Aggregation Platform – allowing one streamlined access to many of the world’s best games and in 2016 and 2017 announced new or upgraded partnerships with major names in the gaming industry such as iSoftBet, Eyecon, Microgaming and Playson. 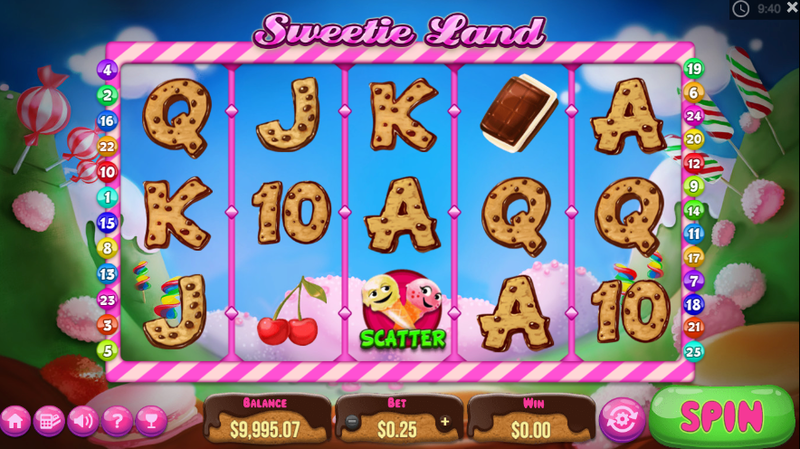 Sweetie land slots has a 5 reel, 3 row, 25 fixed payline format. As well as the usual playing cards which are shaped from cookies, it has some mouth-watering higher value symbols – ice cream wafer sandwich, boiled sweets, cherries, sticks of rock and cupcakes. And then there are the wilds (crocodiles), bonuses (gingerbread men) and scatters (ice cream cones). 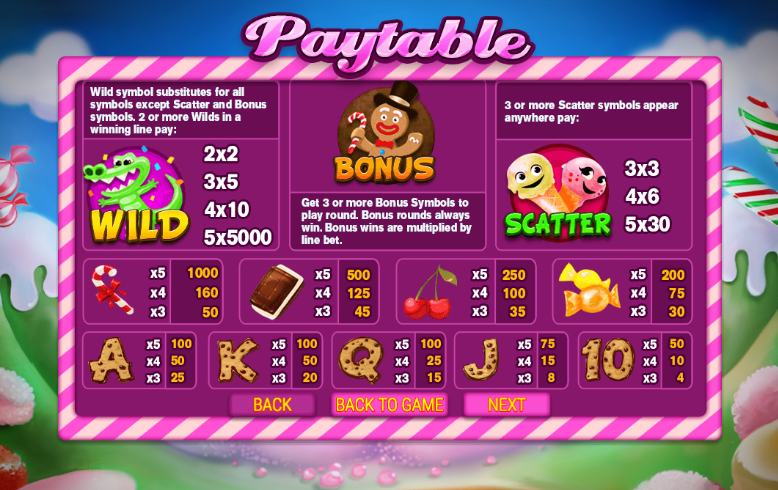 Click Paytable at the top left to view the paytable and work out what your winning combos might be. Click Stake to place your bet. Click Lines to select the paylines you want to bet on. The number of paylines x your stake is displayed as your total bet. Click Spin unless you want to play auto in which case, click Autobet. CROCODILE – substitutes for all others in winning combos except for the gingerbread man and ice cream scatters. Get 2, 3, 4 or 5 of him and this is worth 2x, 5x, 10x or 5000x your payline bet. ICE CREAM CONES – pays out 3, 6 or 30 times your bet if you see 3, 4 or 5 of these in a spin. GINGERBREAD MAN – 3 or more of these in a spin gain you entry to the Bonus Cookie Jar round. Triggered by 3 or more bonus symbols, you can pick from six cookie jars to select different multipliers. All the multipliers you pick are added together and collectively increase your line winnings. Be fast though and pick as many as you can because there’s a time limit on your selection. 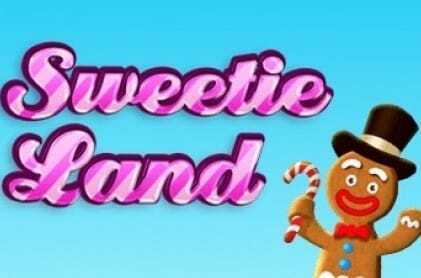 If you love all things sweet, you’ll love Sweetie land slots online casino game. The graphics aren’t the most high tech but they’re good enough to get you tasting the sweet treats on offer. If you enjoyed Sweetie Land then you might also like Fish and Chips.